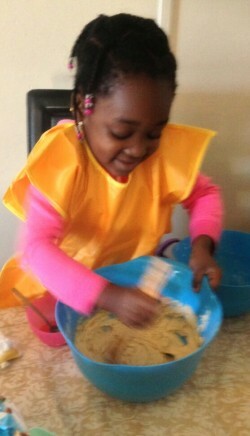 WARNING: This post contains images of cute kids baking. If you have a low tolerance for cute then you may want to look away. We thought we’d share the muffin recipe we used at our kids’ baking workshop here with you as it is frankly just so simple that the whole world should have a go. 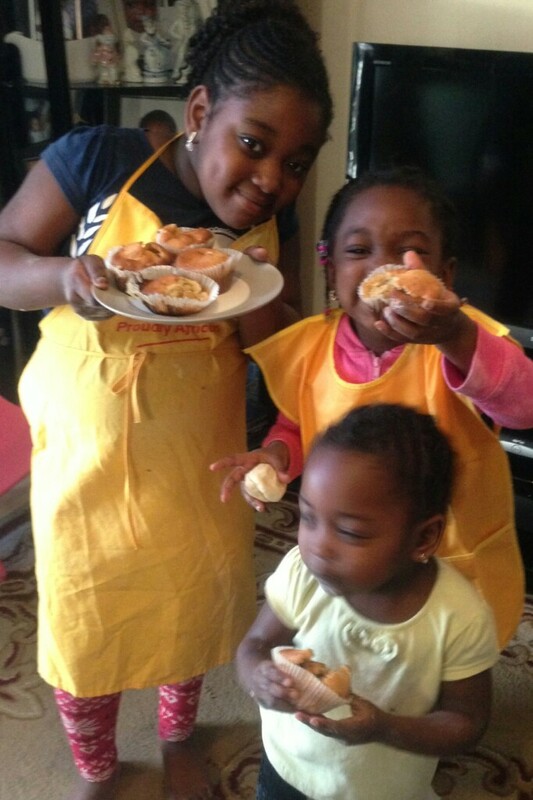 One of the mums, Raby, who joined us on the workshop sent us some lovely photos of her children baking the muffins at home with the kit they’d got in their FCFK Hackney goody bag. 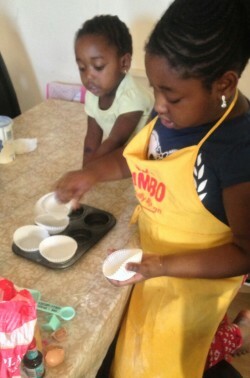 She said it was the first time she’d baked with her children and now, as we’re sure you’ll be able to tell from the pictures, they are huge fans and it’s a new family activity for them. We couldn’t have made it up. Long live the fool-proof muffin! This recipe makes around 12 muffins. 1. 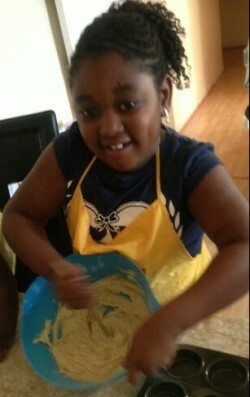 Sift the flour, baking powder, bicarbonate of soda and salt into a large bowl. 2. Place the eggs, sugar, yoghurt, butter and vanilla in a second bowl and beat until blended. 3. 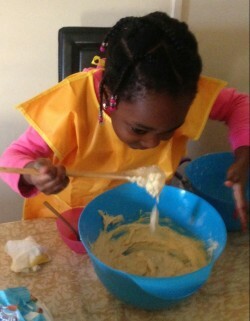 Add the egg mixture to the flour with the blueberries and fold together gently until just combined. 4. Divide the mixture among muffin cases, placed in a muffin tin. 5. Bake until the edges shrink from the sides of the tin and a toothpick inserted into the muffins comes out clean (around 12-15 minutes). Then … ? EAT! Yum, yum, yum! Spiced Banana Yoghurt Muffins: replace the blueberries with 2 diced bananas and 2 teaspoon cinnamon. Cranberry Nut Yoghurt Muffins: replace the blueberries with 1 cup cranberries and 0.5 cup chopped pecans or walnuts. Lemon Pear Yoghurt Muffins: replace blueberries with 2 diced pears and the grated zest of 1 lemon.